Dr. Coyte Cooper is a keynote speaker, executive coach and bestselling author who is one of the premier experts in the area of personal leadership and high performance. 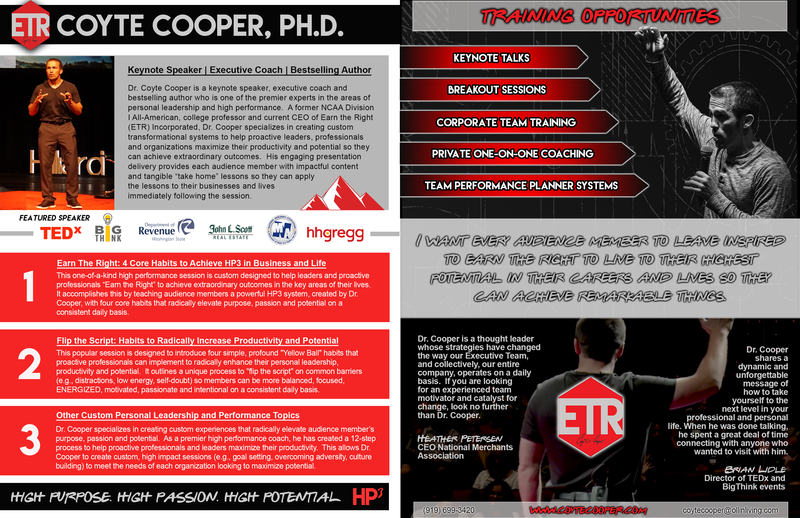 A former NCAA Division I All-American, college professor and current CEO of Earn the Right (ETR) Incorporated, Dr. Cooper specializes in creating transformational systems to help business leaders and professionals maximize their productivity and potential so they can achieve extraordinary outcomes. 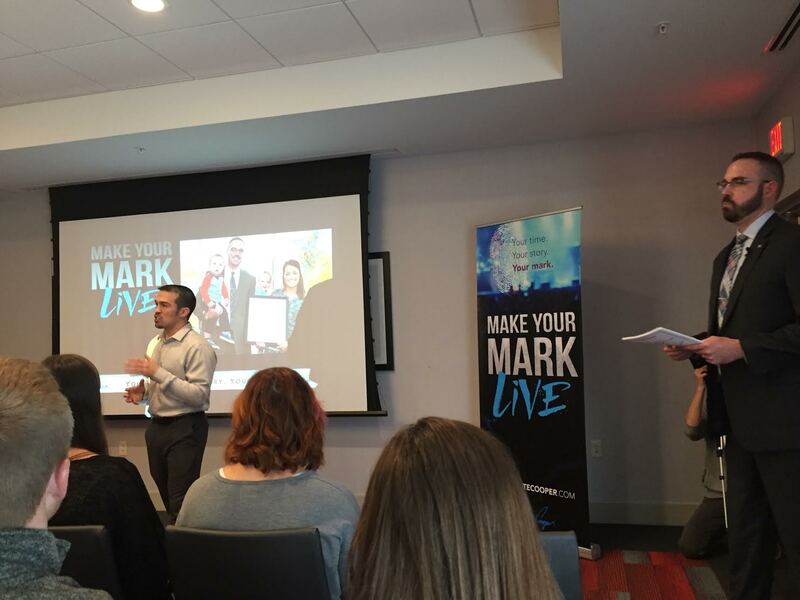 His custom presentation delivery intentionally provides each audience member with transformational content and tangible “take home” lessons so they can immediately apply the lessons to their businesses and lives. 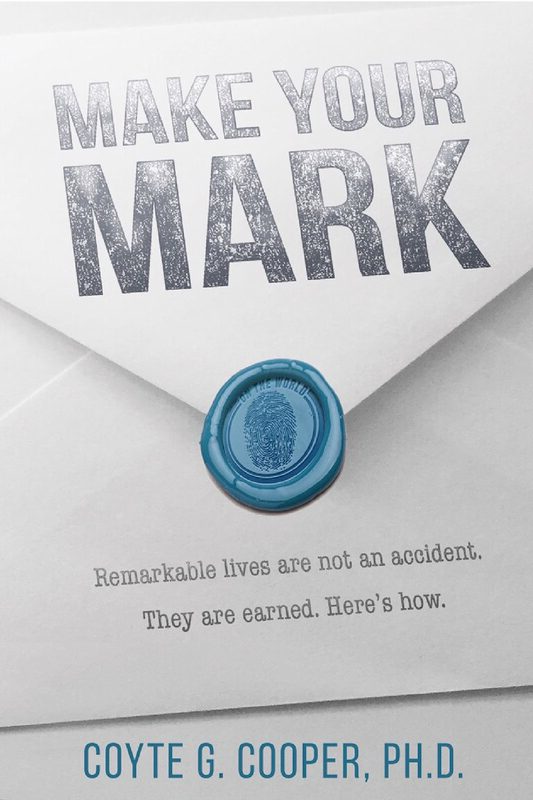 Dr. Cooper caps this all off by pouring into creating one-of-a-kind talks that fully capture audience member’s attention and takes them on a memorable journey towards the results and lives they desire. Dr. Cooper is a thought leader whose strategies and tactics have changed the way our Executive Team, and collectively, our entire company, operates on a daily basis. If you are looking for an experienced team motivator and catalyst for change, look no further than Dr. Cooper. Dr. Cooper shares a dynamic and unforgettable message of how to take yourself to the next level in your professional and personal life. 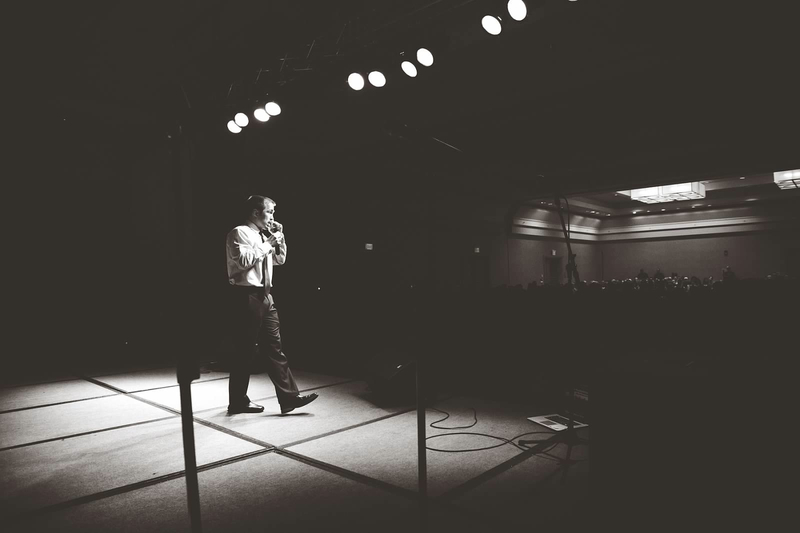 If you are interested in finding a speaker who will challenge your organization to get to the next level and teach how it is done, Coyte Cooper is a perfect fit. Coyte Cooper did an amazing job of speaking to our group. His passion, dedication, energy, enthusiasm, and professionalism shone through in every aspect of his presentation. 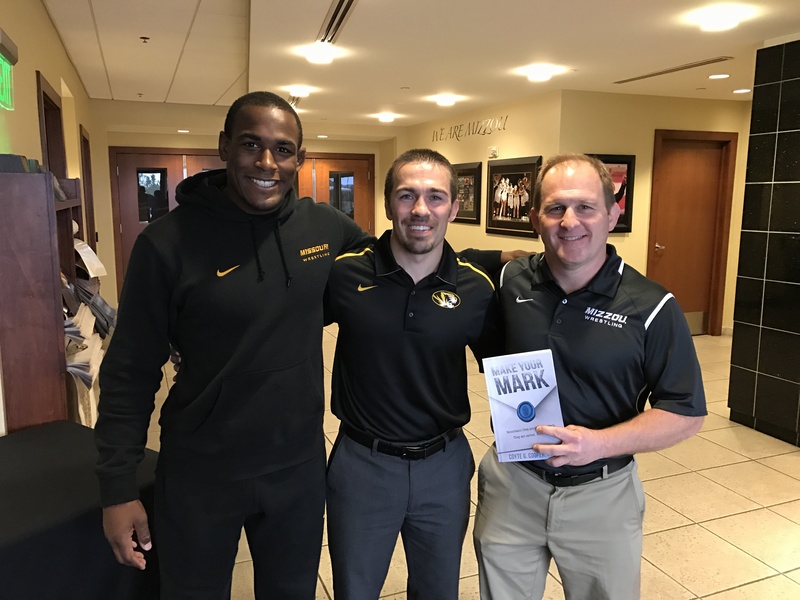 His presentation energized the group of 250+ people and I would not hesitate to recommend Coyte to other organizations who are looking for a thought-provoking and inspiring presenter. 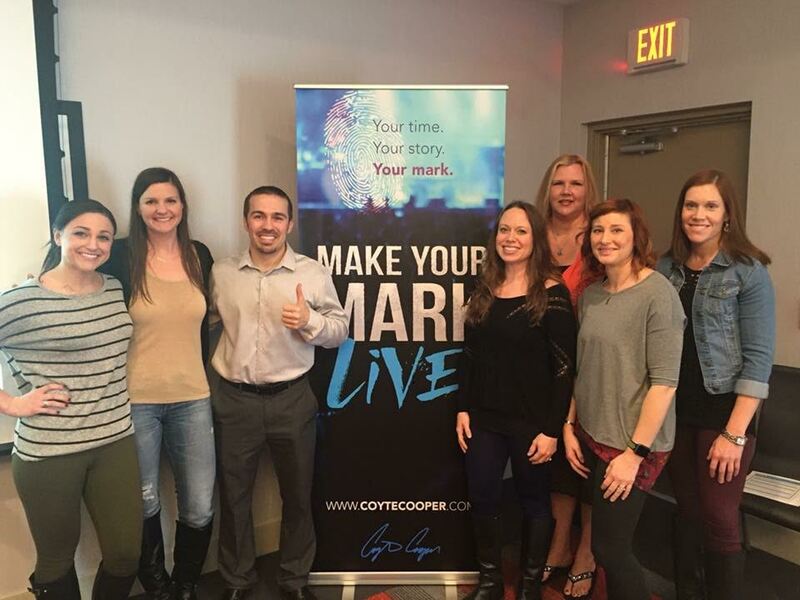 Coyte was a HUGE hit with our Associates and Executives! Everything from his professional image and ENERGY to his educational and inspirational message was absolutely just what our audience needed to hear!!! Dr. Cooper, an international keynote speaker residing in the Seattle area, has poured into creating original content designed specifically to empower people and organizations to their highest potential. 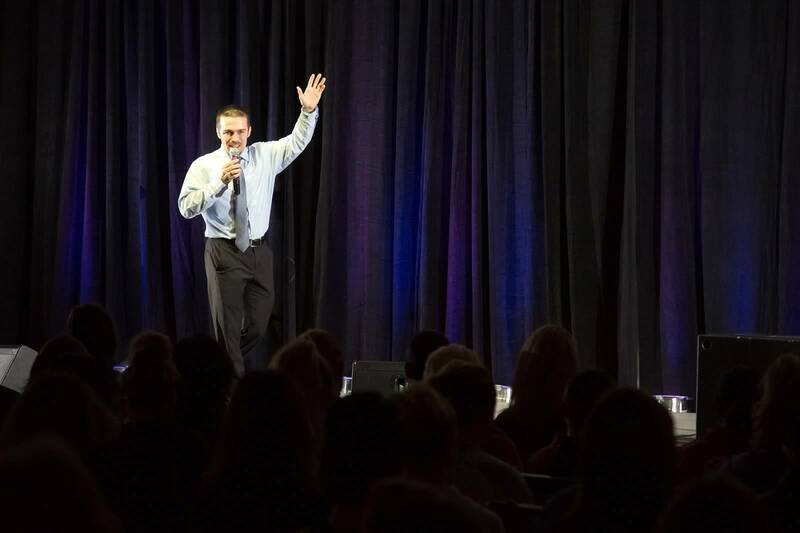 Each of his innovative keynote talks (sample topics below) have been designed to help leaders, event and meeting planners, and decision-makers deliver memorable experiences for their people. 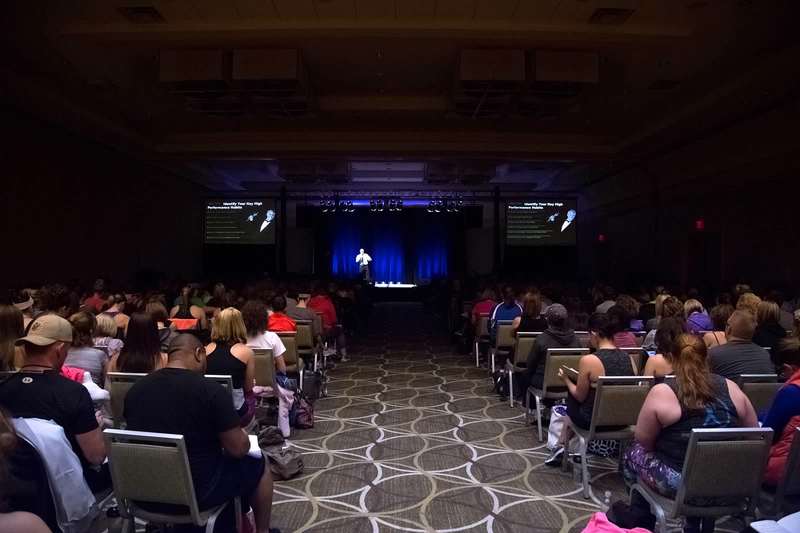 Dr. Cooper is passionate about customizing his talks with each individual group to make the experience ENGAGING, INSPIRING, and MEMORABLE for audience members. He prides himself on doing this at a high level while also being easy to work with throughout the planning and delivery process. Research shows that professionals are more distracted, stressed and overwhelmed than ever. This is causing both individuals and organizations to perform way below their potential. With the right shifts, it is possible to completely flip the script on these patterns so professionals and organizations can radically increase their productivity and potential. 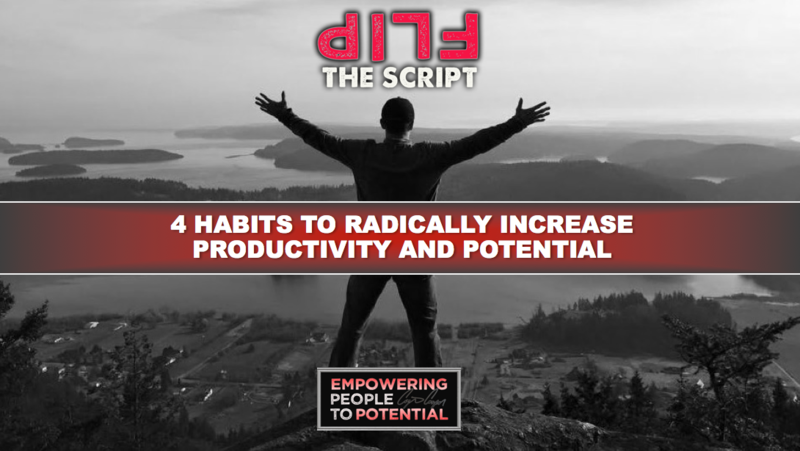 This innovative keynote talk is designed to outline 4 simple, impactful habits that any professional can implement to radically increase their productivity levels and potential. 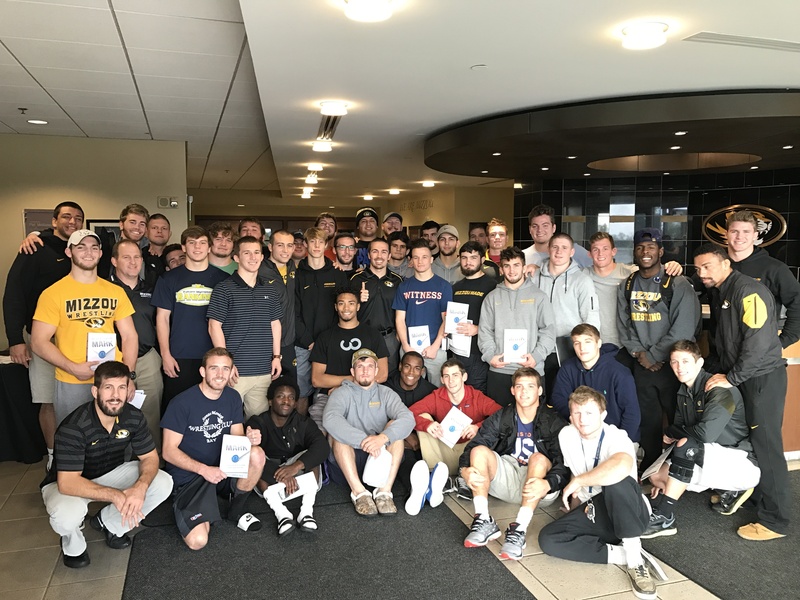 It will teach them how to “flip the script” on counterproductive habits so they can be more balanced, focused, ENERGIZED, motivated and intentional on a daily basis. Research shows that most proactive professionals and leaders are living far below their potential. But it doesn’t have to be this way. 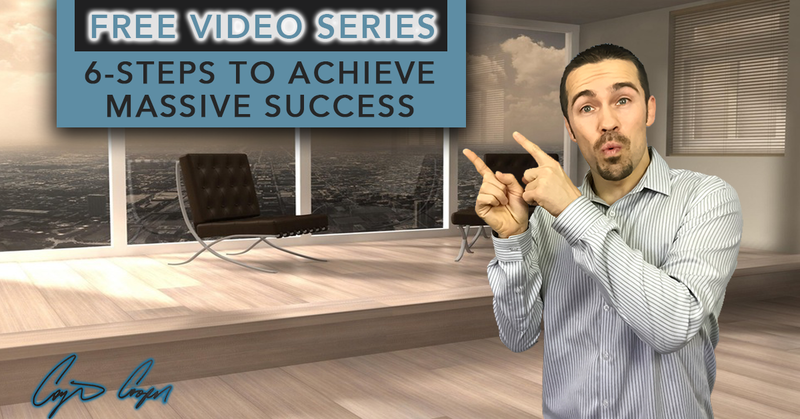 With a proactive approach that establishes the right system, it is entirely possible for audience members to CRUSH IT in the key areas of life. This one-of-a-kind high performance session is custom designed to help leaders and proactive professionals “Earn the Right” to achieve extraordinary outcomes in the key areas of their lives. 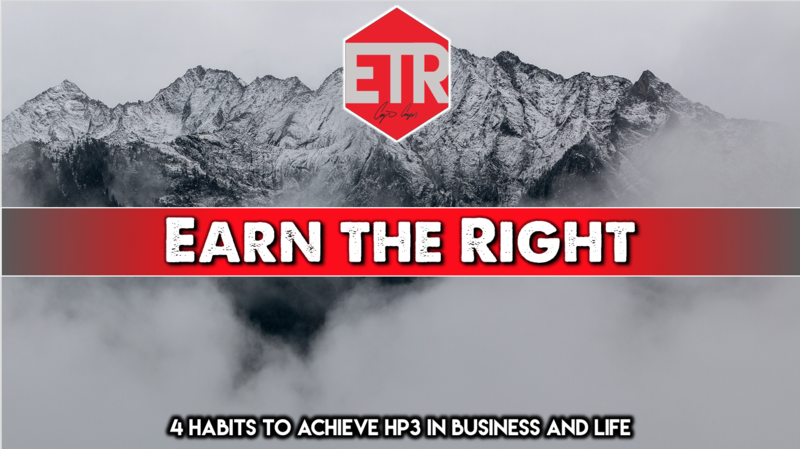 It accomplishes this by teaching audience members a powerful HP3 system, created by Dr. Cooper, with four core habits that radically elevate purpose, passion and potential on a consistent daily basis. What Makes Dr. Cooper Different? 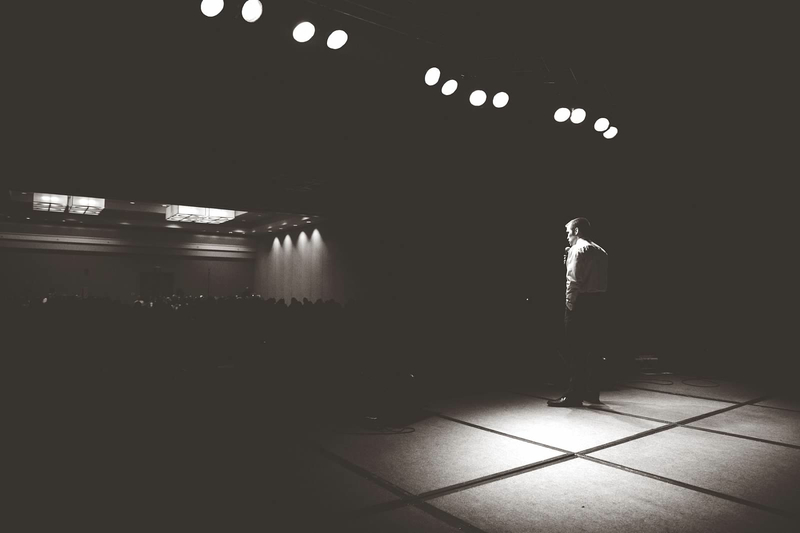 When hiring a speaker, this is one of the most important things to consider. How will the person I hire be unique? What can they bring to the table that will add value to my audience? 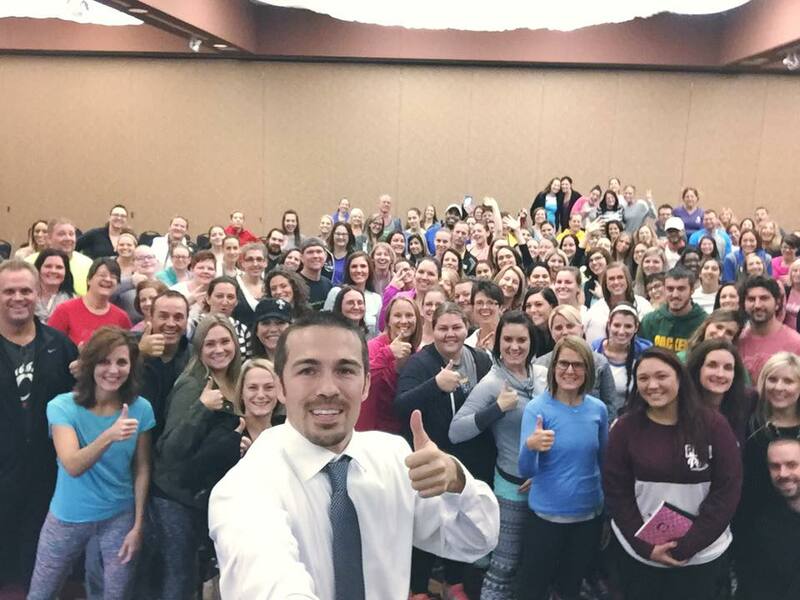 First, Dr. Cooper has created custom, one-of-a-kind presentations he is CRAZY PASSIONATE about. Second, building on top of this, he has honed his skill sets and ability to engage/inspire audiences over the last 10 years. This shows in the unique ENERGY and presence he brings to every talk he gives. 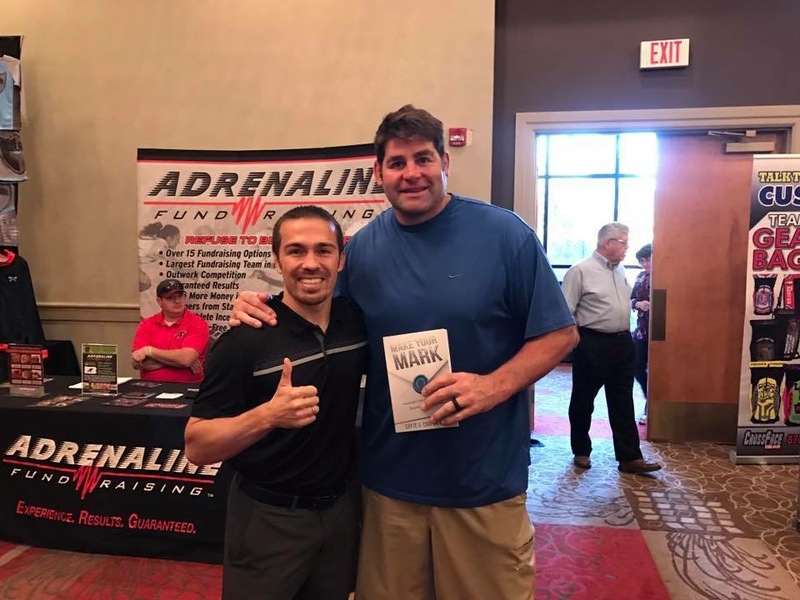 But what truly differentiates him from other speakers is that he is a powerful thought leader who consistently creates new original content via his books, podcast, courses, and coaching programs to empower people to potential. If you would like to book Dr. Cooper for a speaking engagement or have questions, please fill out the form below.